If you go to any job search website and type in Linux+, you will most likely see hundreds if not thousands of jobs that list a CompTIA Linux+ Certification as a recommended skill for prospective job applicants, if not a requirement. Linux is an industry-leading platform that runs a very large percentage of today’s IT infrastructure, and a CompTIA Linux+ Certification proves that you have mastered the skills necessary to manage and maintain these systems. Let’s discuss some of the benefits of obtaining a Linux certification. Some of the largest and most popular companies around the world look for applicants that have been certified in Linux systems technology. Organizations such as Dell, U.S. Department of Defense, U.S. Navy, HP, Northrop Grumman and BAE Systems employ Linux+ certified professionals. If you’re looking to break into the big leagues with one of these employers, there’s no better way than listing a Linux+ certification on your resume. 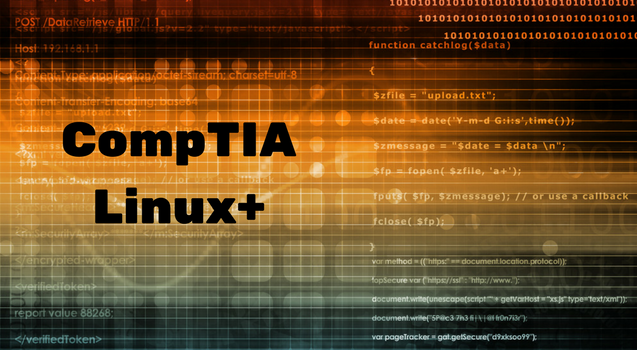 The CompTIA Linux+ certification is a stepping stone for other more advanced certifications. There are several next steps that use this cert as a prerequisite, such as the LPIC-1. You might decide to even become a SUSE Certified Engineer one day and prove that you are a master of Linux technology. The Linux+ Cert is the first step down this path to more technical and highly sought-after achievements. There are no real prerequisites to obtaining the Linux+ certification. However, at least six months of real-world experience will be very beneficial in preparing for the exams. Knowledge of Linux systems, networking, hardware and basic administration is all that is needed to qualify for the exams. Having a CompTIA Linux+ Certification will help separate you from the crowd of other potentially qualified applicants when searching for career opportunities. A hiring manager who is familiar with the certification is more likely to place you in line in front of others because they know this certification demonstrates that you have the knowledge and ability to successfully administer Linux systems. There is no ongoing renewal requirement for your certification. Obtaining the Linux+ Certification is a lifetime achievement. Unlike other certifications, such as Network+ and Security+, your Linux+ accreditation is good for life. You can list this achievement on your resume with pride and be sure that it will continue to pay dividends for the entirety of your career. Linux professionals are currently in very high demand with the emergence of cloud technology. Almost all hiring managers are looking for applicants with Linux experience and are more likely to hire professionals with a Linux+ certification. They know this proves that the applicant is proficient with the necessary technology. To prepare for your CompTIA or CompTIA Linux+ certification exam, consider attending training classes at ONLC. We have a network of over 300 remote learning classrooms around the country. We offer multiple opportunities for you to get the training you need to become a CompTIA Certified Professional. Contact us today to see how you can get started down your path to a new career or bolster your current education and rise through the ranks in your current career.